Technology developed by UNSW Canberra could provide an environmentally friendly, cost-effective method of sterilising water. Developed by UNSW Canberra researchers Dr Adrian Garrido Sanchis, Professor Richard Pashley and Australian National University Emeritus Professor Barry Ninham, the technique bubbles unpressurised carbon dioxide (CO2) through wastewater in a bubble column, effectively inactivating bacteria and viruses. The technology is capable of sterilising water with hot CO2, which considerably reduces the energy requirements compared with boiling water, as heating gas is much more efficient than heating water. The method is also safer than chemical treatments such as chlorine. Dr Sanchis first tried to inactivate viruses with a bubble column while completing his PhD at UNSW Canberra. “The collision between the hot air bubbles and the viruses was the mechanism behind the inactivation,” he said. Australian Pork Limited (APL) has previously funded research into the technology and is interested in supporting the next phase of the research towards commercialisation. “APL funded the construction of a small pilot plant for pure water production from the condensation of the saturated gases from the bubble column,” Dr Sanchis said. “This pilot plant was able to produce pure condensed water and also sterilise the piggery effluent, producing another output of sterilised water. On 22 March, World Water Day, the United Nations shone a light on clean water availability. Today 2.1 billion people live without safe water at home and one in four primary schools has no drinking water service. 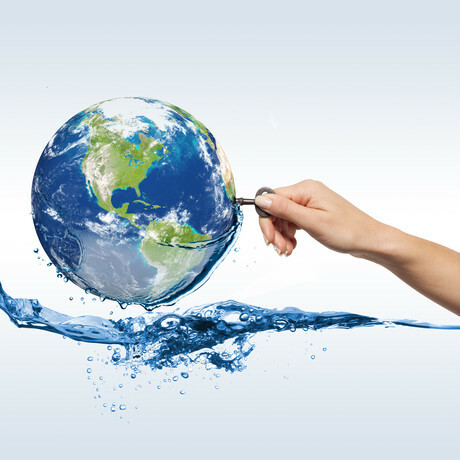 The United Nations’ 2030 Agenda for Sustainable Development includes a target to ensure available and sustainable management of water for all by 2030. New technology, including this water sterilisation method, could help achieve that goal.